According to informed sources in the Polisario headquarters in Tindouf, officials of the separatist front are bothered by Moroccan Authorities’ decision to authorize a pro-Polisario association to officially open its HQ in Laayoune. 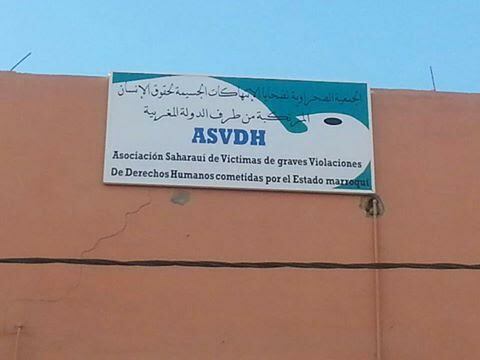 The Sahrawi Association of Victims of Serious Human Rights Violations (ASVDH) has actually opened its headquarters officially on Thursday, May 21 in Laayoune, main city of the Moroccan Sahara, with its plate posted on the door. The association’s Chairman Brahim Dahan made the announcement in a statement to Spanish news agency EFE. The Association works normally, without any pressure or harassment, he said. The announcement was greeted with apprehension in Tindouf, as the Polisario is afraid of losing the human rights trump card it has been using so often. Polisario leaders and Algerian officials fear that Morocco’s decision to authorize a separatist organization to work normally will be to the advantage of the kingdom. For the Polisario, this unprecedented initiative translates Moroccan authorities’ self-confidence and their opening on the supporters of the separatist front, which is backed financially, politically and militarily by Algeria. 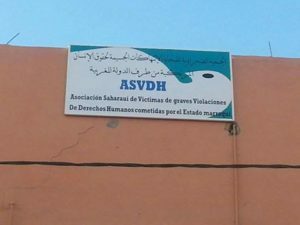 The announcement of the opening of the Association headquarters was echoed by several media in Spain, where the Polisario has the largest number of supporters among NGOs, trade unions and leftist parties. Such publicity was not to the liking of the Polisario, which fears to see the support it has in Spain wane. In fact, ASVDH has been legalized months ago. Moroccan justice had ruled the prohibition of the Association as illegal, prompting authorities to issue a license in August 2015. Besides the association chaired by Brahim Dahan, other pro-Polisario organizations exist and their activities are tolerated by Moroccan authorities although they are not officially licensed. CODESA, the Coordination of Sahrawi detainees chaired by Aminatou Haidar, is among these NGOs.